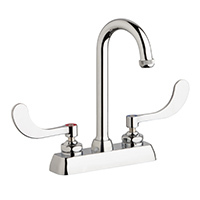 Hand sink faucets are mounted on the back-splash at 4" centers. 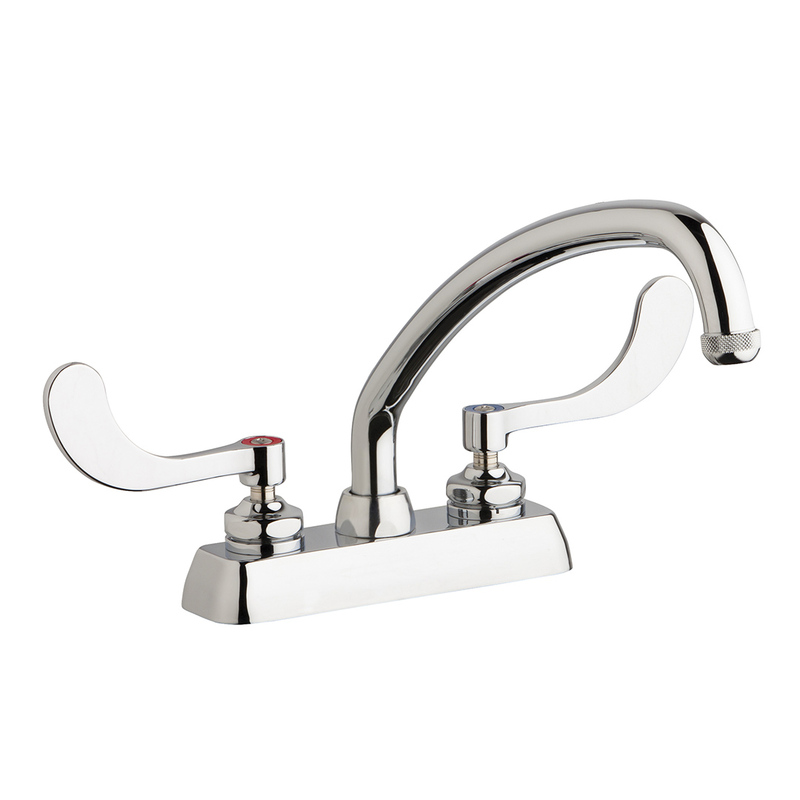 The hand sink faucets we carry have several style spout options to meet any clearance and your choice of handles for different grip. 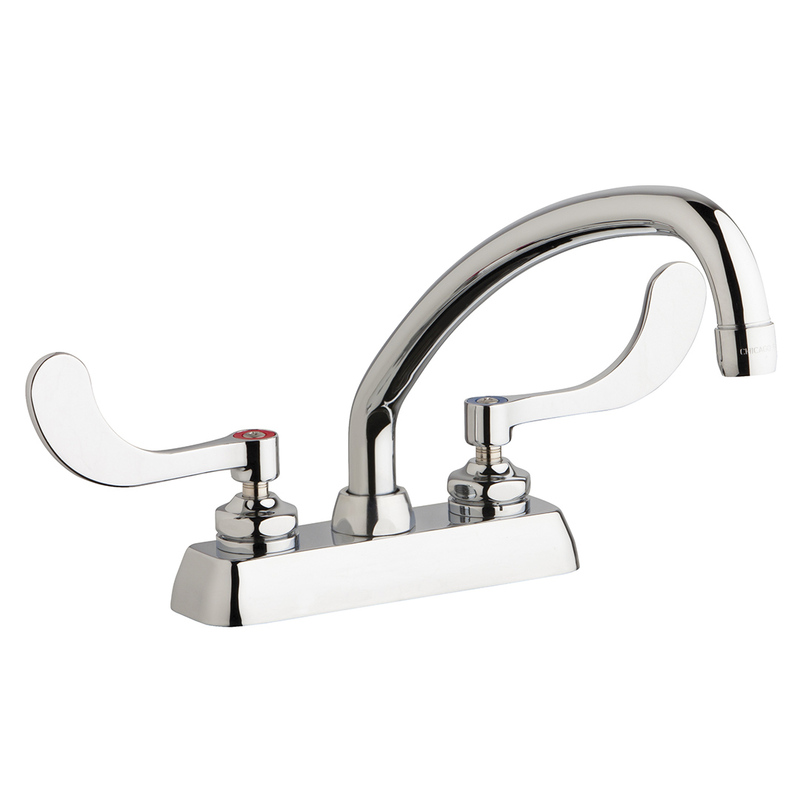 Solid brass deck mounted bar faucets are available in 4-inch centers and single hole mounted body styles. 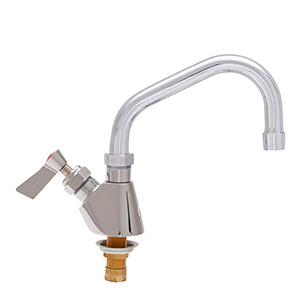 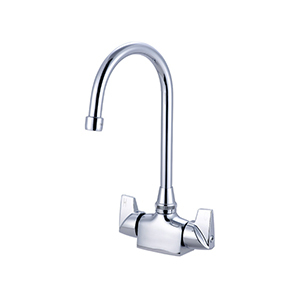 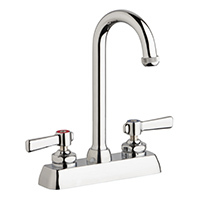 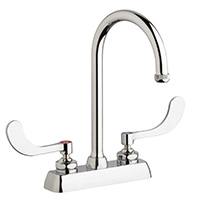 We carry every type of commercial faucet for your restaurant or food service kitchen. 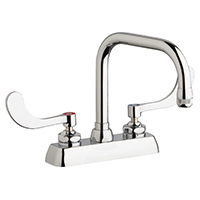 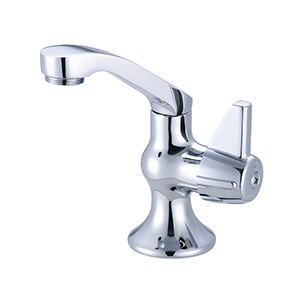 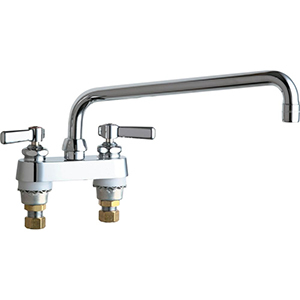 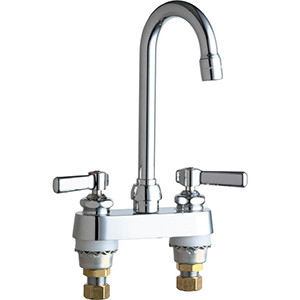 We carry the largest selection of single hole mounted bar faucets online! 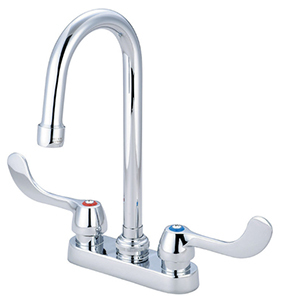 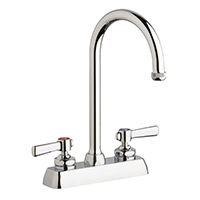 Shop for Chicago Faucets, Fisher, T&S and Krowne bar faucets for your commerial kitchen or restaurants. 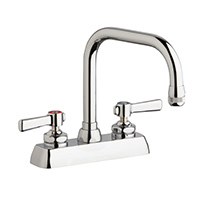 Single Handle Mixing Bar Faucets available in several styles including modern, traditional and trasitional to compliment any kitchen or prep area. 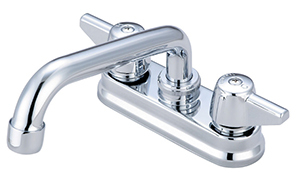 Choose from top name manufacturers like Danze, KWC and Elkay.